The brilliant minds behind the Rafflecopter application are hosting a giveaway for a 16 GB iPad 2 and 2 Kindle Fires. 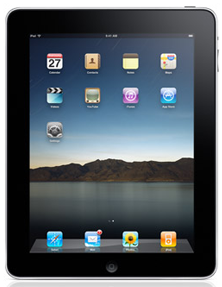 The winner of the giveaway will win an iPad 2 and whoever refers the winner, will win a Kindle Fire! This is all in celebration of their birth 9 months ago, of the wonderful Rafflecopter application that makes entering giveaways a breeze, and the New Year we’ve all begun. Entering is easy – RAFFLECOPTER powered! Please use Finger Click Saver as your referrer…Thank you so much! BEAUTIFUL STUFF THAT I LOVE VERY MUCH!! !